At AmishOutletStore.com, our Amish-made living room chairs all feature their own rich piece of history, dating back many generations of expert craftmanship. Our Shaker-style rockers are no different, with this style of furniture first appearing in the 1770s. When a group of Quakers reformed in the United States as the Shakers, they introduced strong values of simplicity and traditionalism into their communities. Shaker-style furniture is a perfect, visual representation of these ideals. Simply designed but extremely practical and structurally-sound, these Amish-made living room chairs are the epitome of high-quality Amish furniture. Skilled Amish crafters build each one of our custom-made, Shaker-style living room rockers. At AmishOutletStore.com, we believe in using the finest materials, so you can be certain your Shaker-style rocker is made with quality, solid wood and materials. Our proven construction techniques provide a dependable combination of functionality and practicality. 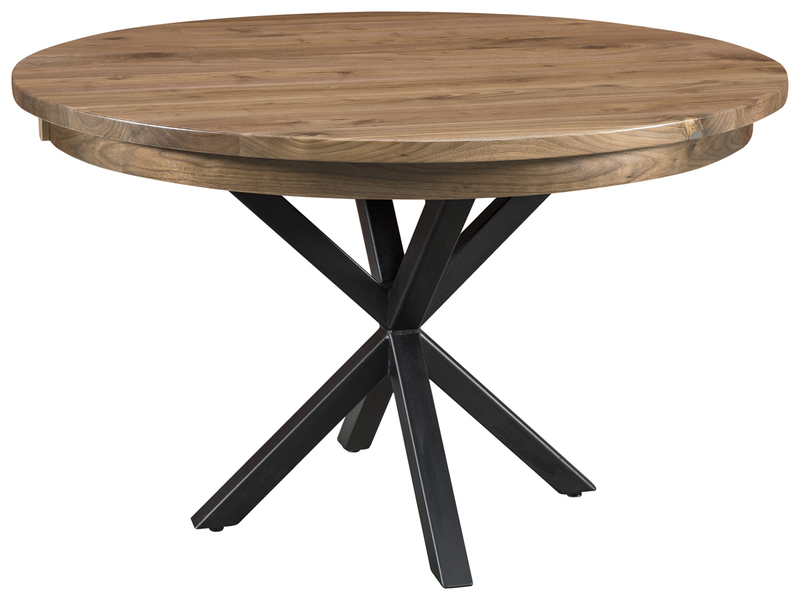 The ability to customize our furniture for your unique preferences is also a core feature of our product lines. 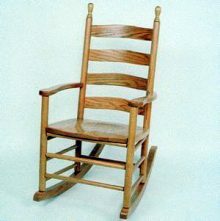 For our Amish rockers and gliders, you can choose between oak or cherry wood. Additionally, we offer several beautiful wood stains to complement your oak or cherry design. We want you to feel confident in your custom-made piece, so we’re happy to provide samples of our stains upon request. In addition to the wood type and stain, you can pick between a rocker with arms, or one without. If you’re looking for a piece that fits perfectly in any type of room or living space, look no further than our Shaker-style rocker selection. The timeless design ensures this classic piece will add character to your home, and you can enjoy the comfort and dependability of handcrafted, Amish furniture. To complement our custom options that guarantee your piece is truly one-of-a-kind, we’re proud to offer up to 33% off our Shaker-style living room rockers. Check out our full selection of Shaker rockers today, or contact us to receive a quote. We’re happy to answer any questions and look forward to building your beautiful, customized Shaker-style rocker!